The Department of French, Francophone & Italian Studies offers the M.A. 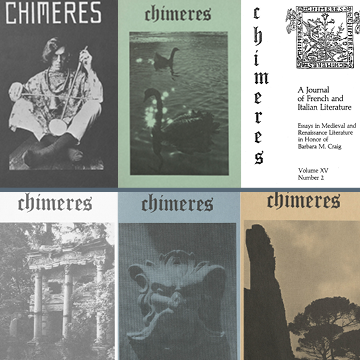 and Ph.D. degrees in French literature, with a balanced emphasis on all periods from medieval through twentieth century. Graduate study is supported through teaching assistantships offered to qualified candidates, who receive thorough training in language instruction. Excellent facilities, strong library holdings, and a faculty dedicated to both teaching and research assure students of a challenging and professional graduate preparation. 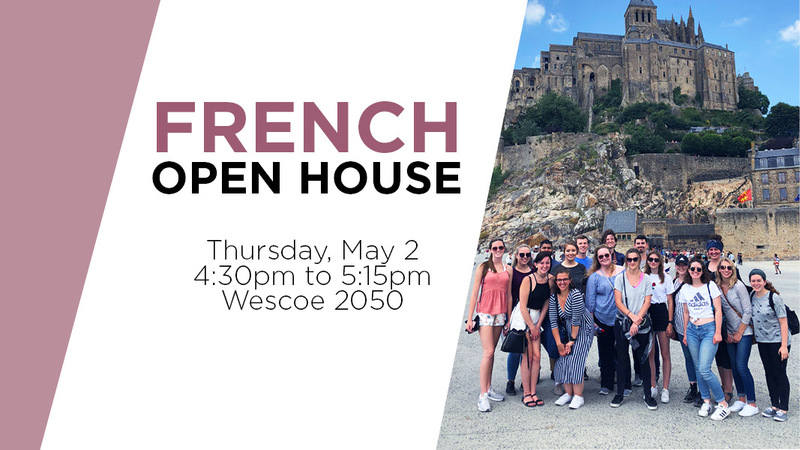 The Department of French, Francophone & Italian Studies offers a comprehensive undergraduate program in French language, literature, and culture, as well as Francophone literature and culture from around the world. In addition to first and second year courses in basics of grammar and conversation, advanced undergraduate courses in composition, literature, and culture are offered every semester. We offer a summer study abroad option in Paris, and a full semester study abroad program in Angers. Our summer and semester-long study abroad programs in Paris and Angers offer a wide variety of levels to students at all stages of linguistic competence. The major prepares students for a variety of careers in teaching or in graduate studies, as well as in fields such as interpreting, international business, art, art history, and travel. We encourage applicants from traditional and non-traditional backgrounds to investigate French as a major or as a minor field. The Department of French, Francophone & Italian Studies offers a comprehensive undergraduate program in Italian language, literature, and culture, leading to the BA in the Italian Option or to the Minor in Italian. Italian offers courses in basic grammar, composition and conversation, literature and culture. The course sequence Italy and the Italians (ITAL 335-336) is also offered via ITV at the Edwards Campus in Kansas City. Our summer study abroad program in Florence offers a wide variety of levels to students at all stages of linguistic competence. The major prepares students for a variety of careers in teaching or in graduate studies, as well as in fields such as interpreting, international business, art, art history, architecture, and travel. We encourage applicants from traditional and non-traditional backgrounds to enrich their time at KU through the study of Italian.